In the wake of the Sandy Hook massacre, a poll revealed that 91% of Americans support comprehensive background checks that could prevent thousands of similar gun violence tragedies nationwide. 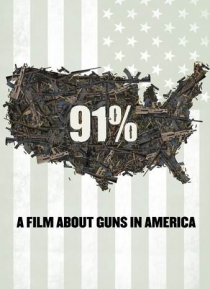 In this timely documentary, survivors of gun violence tragedies tell their heartbreaking stories of loss, pain, and a heroic search for hope. Moving beyond perplexing gun control politics, 91% demonstrates t… hat Americans almost unanimously support both 2nd amendment rights and common sense regulation.